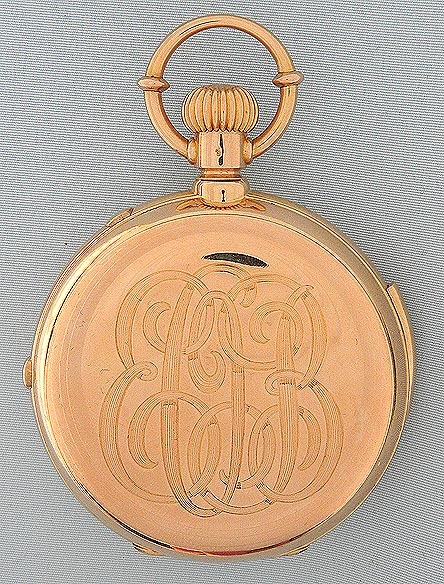 Very fine and scarce Jules Jurgensen 18K gold minute repeater split second chronograph with Jurgensenâ€™s patented bow hand-setting mechanism and original box circa 1898. 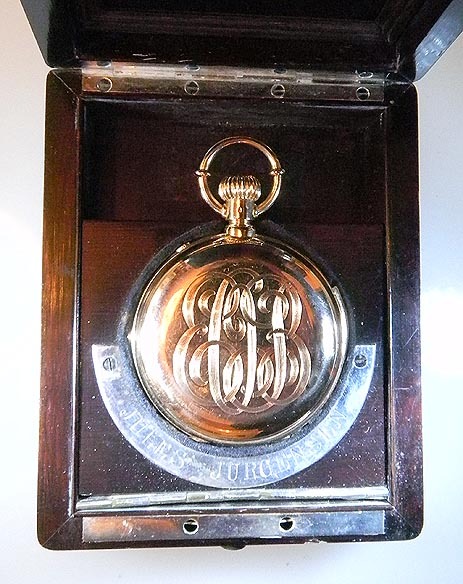 Fine white enamel dial with black and red markings, black numerals, and blued steel hands. 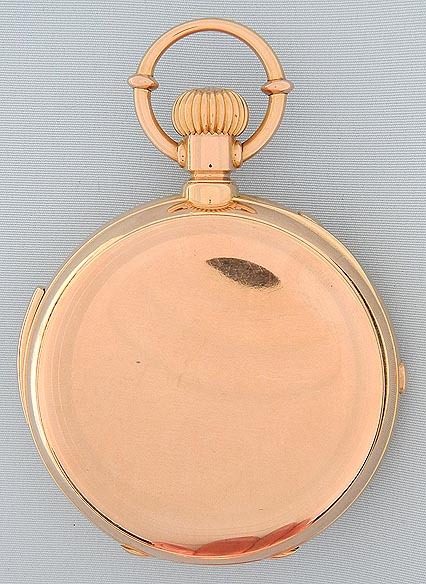 Heavy plain polish case with repeater slide and two chronograph buttons in the band. 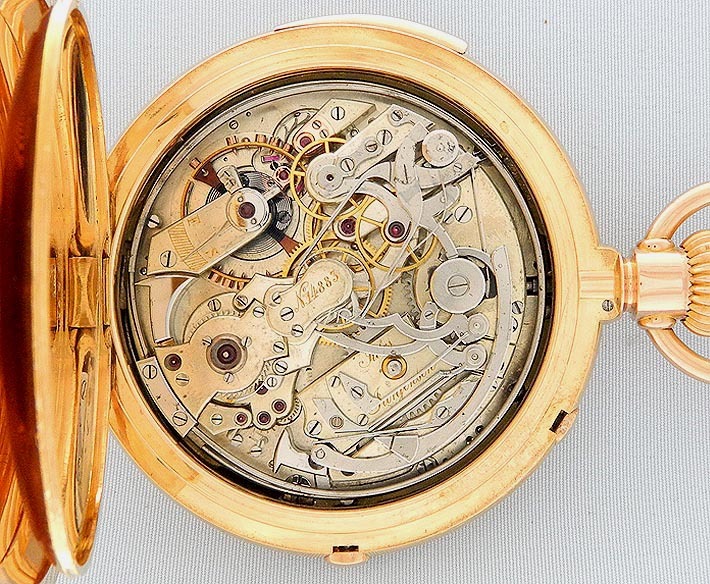 First quality 35 jewel nickel movement jeweled to the center and the hammers. 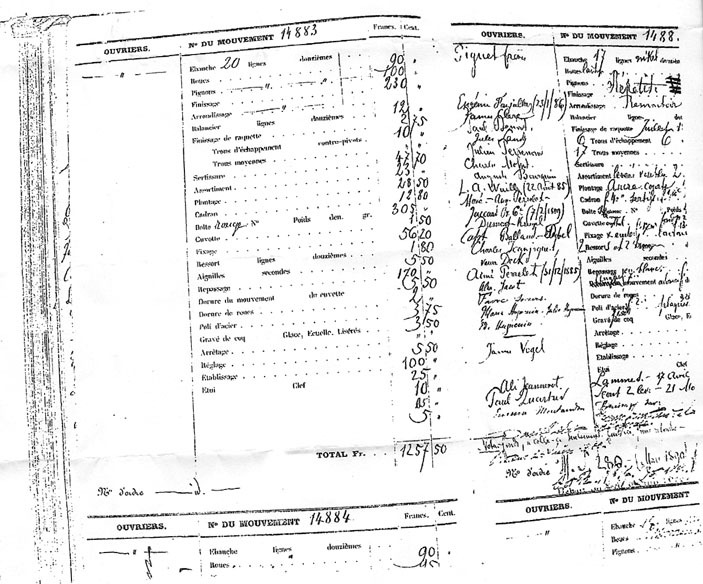 With a copy of the page for this watch from Jurgensen's workbook. This watch can time two separate events. When one button is depressed the chronograph starts. When the second button in the band is depressed the chronograph hand "splits" and one of the hands stops. The other hand continues until the first button is pushed. A final push returns the hand to â€œ0â€œ. 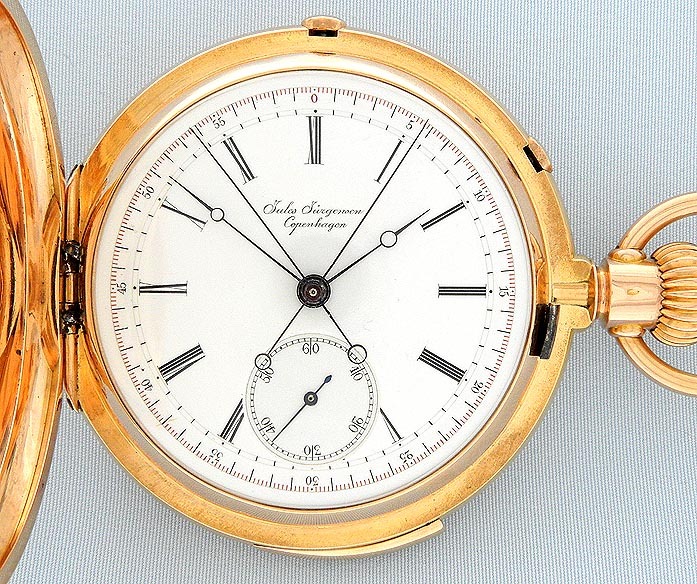 Jules Jurgensen is one of the most famous watchmaking companies in the world. It was founded by JÃ¼rgen JÃ¼rgensen in 1740 in Denmark. 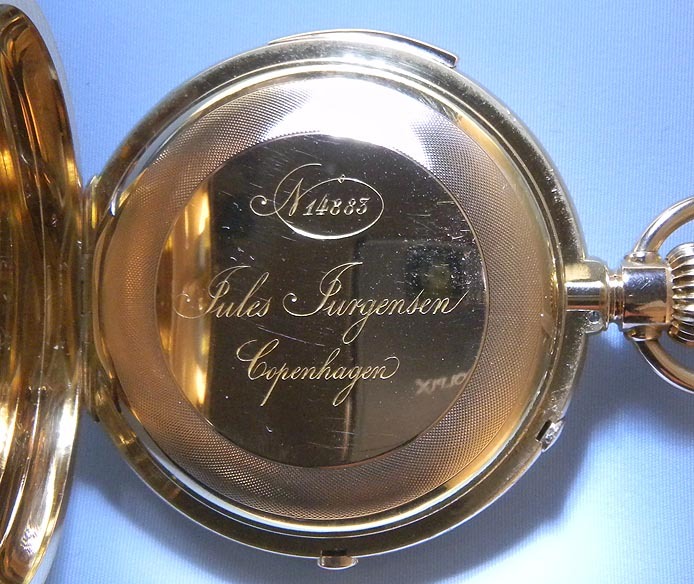 Upon JÃ¼rgens death in 1811 his eldest son Urban started his own company under the name â€œUrban JÃ¼rgensenâ€� After Urban JÃ¼rgensen died his younger son Jules went to Switzerland and started his own company under the name â€œJules JÃ¼rgensen Copenhagenâ€� in 1836. The company is known for producing exceptional complicated timepieces.